Friday, first of the summer, and with this weekend, I'm kicking off a series of trips. We're staying at the same hotel I featured in this post about taking kids to Palm Springs. Not my first choice for an adult getaway, but it's location is primo, and within walking distance to everything -- which means I won't have to play designated driver, which would be a bummer. And since this overnighter is all about "chillaxin," no bummers are allowed. Speaking of the in-laws, we'll get to spend a week with them in late August, when we go on yet another trip -- this one up to Morro Bay on the central coast. Our families are renting a couple of houses on the same lot, to celebrate their 50th anniversary. 15 years of marriage, versus 50. I can't imagine! But then, my in-laws got a much earlier start than we did. Morro Bay is so scenic and pretty, and I'm looking forward to that week, too. The lovely Lisa Leonard is lucky enough to live close to that area, and she featured Morro Bay in her post today. So that's the Big Picture for us this summer. 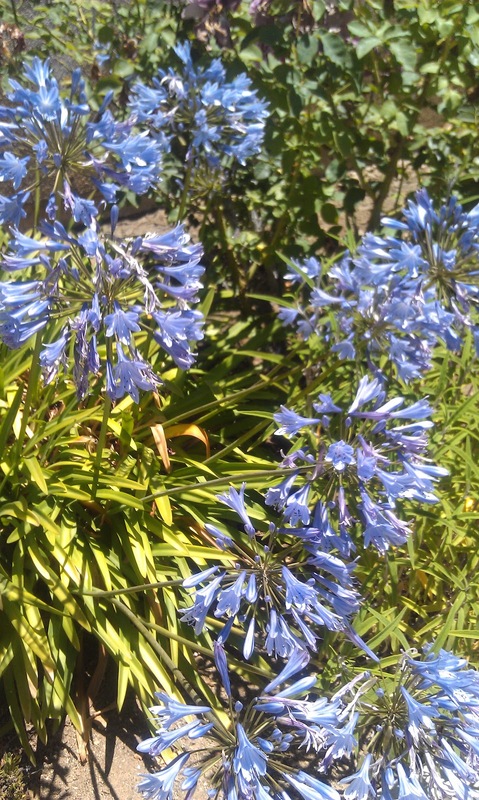 Up above are some pictures of the agapanthus plants in my backyard. Every year at this time, they pop and bloom like delicate lavender fireworks. Agapanthus plants (agapanthi?) are everywhere in Southern California -- almost as common as Bird of Paradise plants, and sturdy iceplant alongside the freeways. 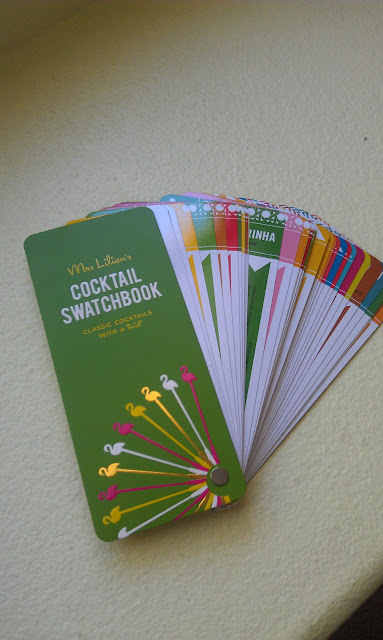 And below is my big purchase of the week, Mrs. Lilien's Cocktail Swatchbook. In reality, my sis and I will probably stop at the Rite Aid and pick up some beer, margarita coolers and Doritos. 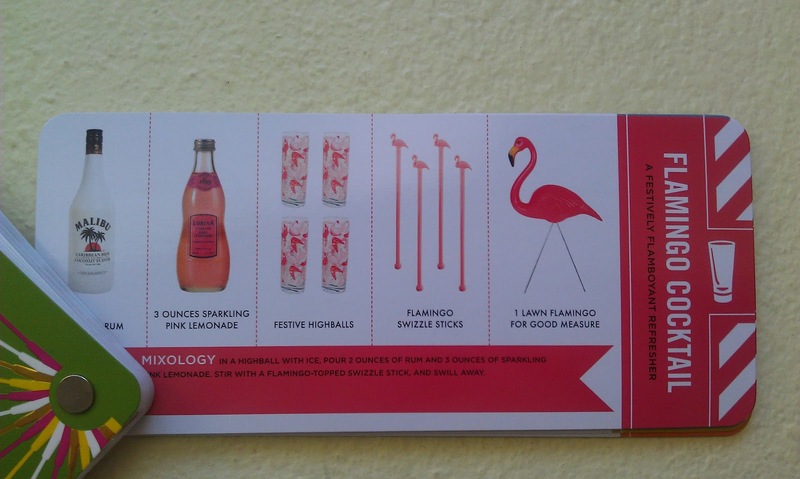 And I'll be trying for fabulous in my new Target swimsuit. Ah well. At least the sunshine and blue skies are guaranteed to be part of my reality. See you back here on Monday with a post-trip recap.